WOW Rita this is gorgeous. I especially like those rich colors you used. WOW...MY FAVORITE COLOR.. You did an amazing job on your can your photograph. It really shows it off well. Wonderful picture and great take on the sketch. Thank you so much for joining in the fun this week at the Midnight Madness sketch challenge. What a spectacular card. That image is beautiful. Love this card! Great job with the sketch. 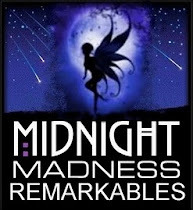 Thank you so much for playing along with the Midnight Madness Sketch Challenge. Your dove is just gorgeous and I love the color and all the details. Thanks for joining us for this week's Midnight Madness Sketch Challenge and hope you will join us again next week! Very pretty card. I just love the colors you used. The doves are so real looking. OH WOW! This is drop dead gorgeous Rita! I LOVE IT! look at those doves! wow, wow and some more wow - I am speachless! I am going to spotlight this on the MMSC pages on Facebook! Oh wow Rita your card is so stunning. Especially your work on the dove. 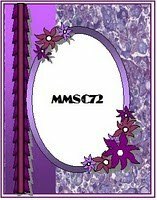 The layering is so pretty, and I am loving the white on the purple background. 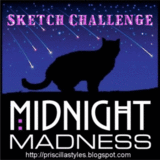 Thank you so much for playing the Midnight Madness Sketch Challenge with us this week. Beautiful card really! A win VERY well deserved!! GORGEOUS!! Congratulation for win the Gold Star, with this stunning card. Very deserving win! Congratulations, you made an exception card! What a stunning creation! Etheral and inspiring.